Positioned South-East of the Persian Gulf, Dubai is a perfect choice for the ones wishing to experience real Arabia while still taking pleasure in the modern comforts. It is one among the in style cruise destinations in the world, offering some amazing sightseeing opportunities. From a simple boating to a romantic cruise dinner, you will simply fall in love with the sea tours and shore excursions offered by the well-known companies of Dubai. 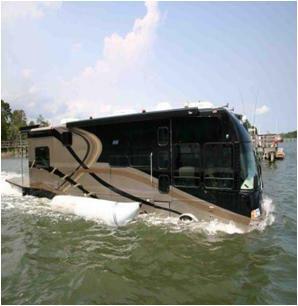 The companies do not take time in introducing the latest sea vehicles in order to make your sea voyage more comfortable. This simple guide contains some simple but amazing means of sea travel. 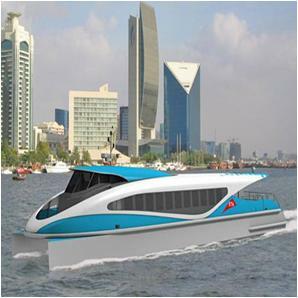 The modern and capsule-shaped Dubai Ferry provides you with a wonderful opportunity to see the entire Dubai skyline. It is large and spacious, accommodating around 100 passengers at a time. You can discover the famous Burj Ul Arab, Palm Jameirah, Dubai Creek, Atlantis, Al Ghubaiba and Marina Mall by getting into the Dubai Ferry. There are two stops to get into the Dubai Ferry - Dubai Marina Mall and Al Ghubaiba on the Creek. Refreshments are served on board and restroom facility is available for women and men - especially for disabled people. Moreover, a small snack bar, decent toilets and entertainment services are the main sources of attraction. 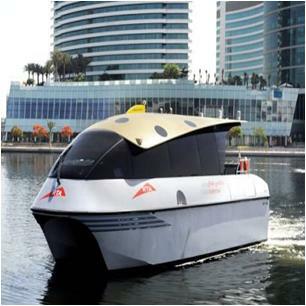 Water Taxi is a modern luxury transportation system of Dubai, offering you picturesque view of the gorgeous city. 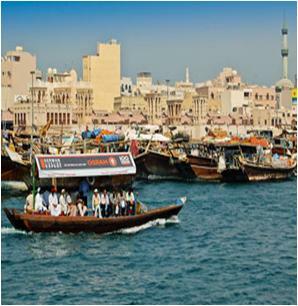 It operates like a regular car taxi service where you can call up to request a boat pick for crossing the Dubai creek. Dubai’s fleets of water taxi are nicely equipped with modern facilities and have 57 stations - spanning Jebel Ali Golf Resort to Deira Old Souk. The prices of the stylish gems are based on a maximum of ten passengers travelling, apart from of how many passengers there are. You cannot jump on of your own accord as advance booking is must. However, you have the option available to arrange your departure time, as well as your pick-up and drop-off point, based on availability. 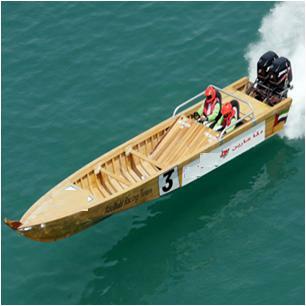 Abras, traditional wooden boats, are also used in the transportation of the passengers in Dubai, across the Creek. You can call them as small ferries as they are small commuter boats, accommodates approximately 20 passengers per Abra. You can enjoy the striking Dubai Creek panorama for the grand sum of only 1 dirham (AED 1) per person. Abras depart on a regular basis, offering booking service round-the-clock. You can hire Abra for a private tour as well. The prices will vary from the group tour but are usually very economical. Launched by Marine Agency, Waterbus offers comfortable and safe transportation service across the stunning Dubai Creek. It operates under Dubai's public transport system. Therefore, Red ticket or any Nol card is necessary to travel by waterbus, which can be purchased at the water bus’ designated stations. Comfortable and luxurious seats with ample, friendly staff and space and up-to-date toiletries etc are guarantee of a memorable tour. The air-conditioned Waterbus has Customer Service Offices in each station in order to facilitate their customers regarding any travelling issue. You can also hire Jet skis for adventurous water trip and buzzing about a safe and controlled area. It is must for Dubai’s residents to bring their passport or Emirates ID along with them. If you are an expatriate, then make sure to carry your passport with you. Jet Skis are nicely designed, keeping the exhilarating and invigorating activity enthusiasts of Dubai in mind. 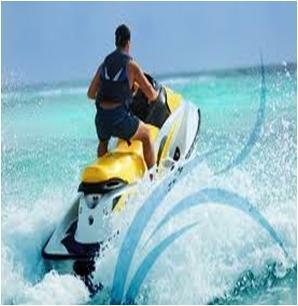 One Jet skis accommodates two people, so, it is your chance to take your most loved one on a thrilling water trip. 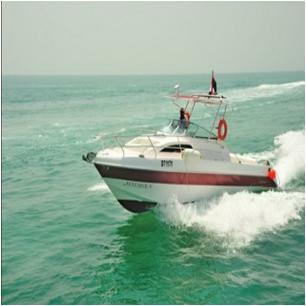 Powerboats are also available for boarding on an exhilarating tour of Dubai. The well-equipped powerboats provide you with an opportunity to enjoy the skyline of Dubai from a unique angle. What if you cannot get into the expensive Burj Ul Arab, Palm Jumeirah, or the Atlantis Hotel – you can enjoy their sea sight by getting into the powerboats. Speedboats provide you with an opportunity of sightseeing adventure in the Persian Gulf, seeing Dubai from the water. There are few well-known companies in Dubai, offering thrilling speedboat rides and tours. Moreover, some amazing hair-raising sea-rocket tours are offered these companies for the Atlantis Tour, which can be privately taken into service for about 11 passengers. You will enjoy the snacks and drinks presented during the speedboat tours. Dubai’s sea tours remain incomplete without a little lounging on the nicely designed luxurious yachts. Hiring a Yacht in Dubai is a nice excuse to cruise along the highlights of the beautiful city on a thrilling voyage. Yacht cruises have a capacity to take around 40 passengers on trip at a time. 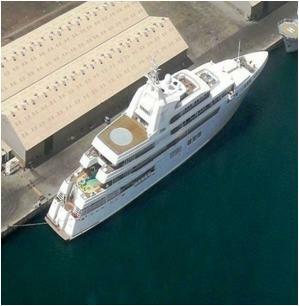 The Yachts in Dubai possess all the latest facilities and assures your safety and comfort. Moreover, some yacht companies in Dubai offer private tours and customize services where dates and the period of yacht tours are flexible. Xclusive Yachts Dubai, On Verra VI, Marine Concept Dubai, Al Wasl Cruising Dubai, Seven Seas Marine Dubai and Summertime Marine Sports Dubai etc are some of the most famous companies in Dubai, offering remarkable Yacht tours. Last but not the least; see Dubai as you have never seen it before. Water planes are the most latest and exciting source of transportation to take pleasure in the sea tours in Dubai. There is no alternate for the superb experience of a trip in a seaplane. Besides memory of a lifetime, water planes in Dubai offer incredible photographic opportunities and truly spectacular seaplane ride across city’s ever-changing and striking coastal skyline. There are numerous companies in Dubai, offering water plane trips. Seawings Dubai is one of them.